Oil Filtering? | Papyrus Watch - Exposing the overuse of the Papyrus font. I really don't know what this is? 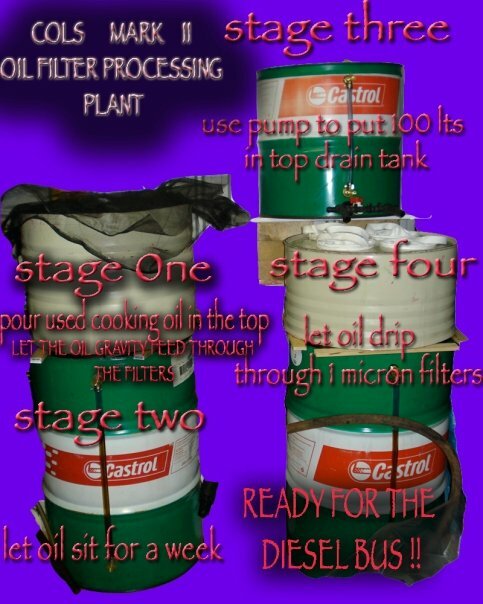 Ok it's oil filtering stages, but wow. Cooking oil to running a car, and it's nearly unreadable. It's appalling in every way. Not only is it horrifying to look at, add Papyrus then attempt to make it 3D in some spots reminds me of WordArt but worse. Thanks Jesse for posting this atrocity on our Facebook Page (you can be a fan and help spread the good...or bad..word of Papyrus).